Wes Brown celebrates after scoring against NorthEast United. 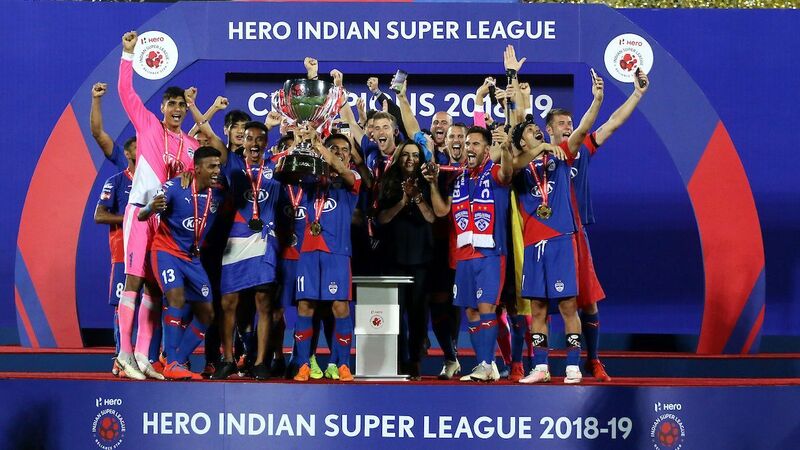 The past week of the Indian Super League (ISL) saw Wes Brown star for Kerala Blasters, Bengaluru FC held to a draw for the first time this season, Mohammed Rafi save Chennaiyin, and more. After Dimitar Berbatov last time around, it was his former Manchester United teammate Wes Brown's turn to star for Kerala Blasters this week. Brown nodded in a powerful angled header against NorthEast United for his first ISL goal and the 1-0 win revived Kerala's playoff hopes. In many ways, it was an uncharacteristic, error-prone performance from Brown in defence, though. 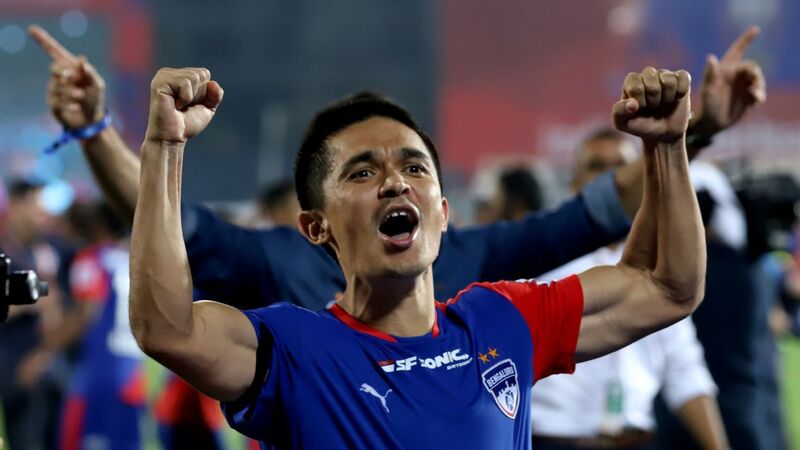 He effected a couple of poor clearances and was not as precise when dealing with crosses inside his own box as he has normally been this season, shoring up the Kerala defence perfectly both as a defensive midfielder and lately as centre-half. But his contribution at the other end of the pitch in Guwahati has just about kept Kerala alive in the race for the top four. Kerala are fifth with 26 points, but the chasing two are within six points of them with games in hand. FC Pune City became the first team to hold Bengaluru FC to a draw this season, and did it in a game where they were dominant for most of the first half. They were lucky to have star striker Marcelinho on the pitch, though. 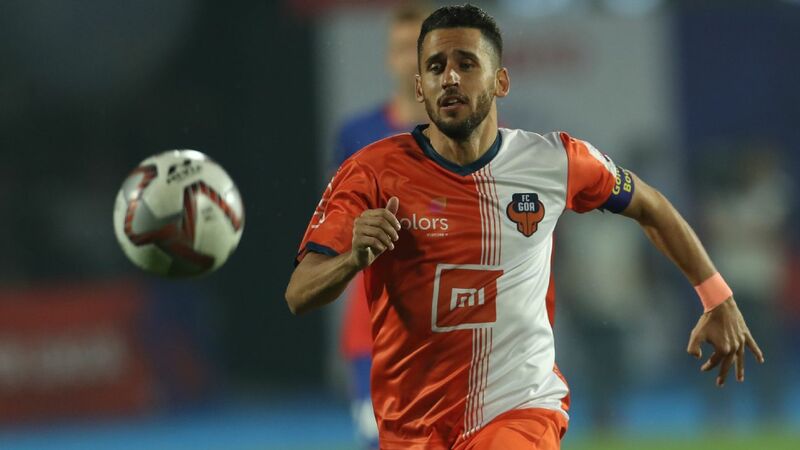 Just about a quarter of an hour into the game, Marcelinho had already stomped on Bengaluru left-back Subashish Bose and then put in a barging tackle into midfielder Toni Dovale. He was shown a yellow card before half time for another rash tackle soon after, but then nonchalantly elbowed defender Juanan when going up for a header in the second half. In between, he still found time to create a perfect layup for Sarthak Golui's goal. With Pune virtually through to the last four, the team management has to sit him down and ask him to curb his enthusiasm for tackles. 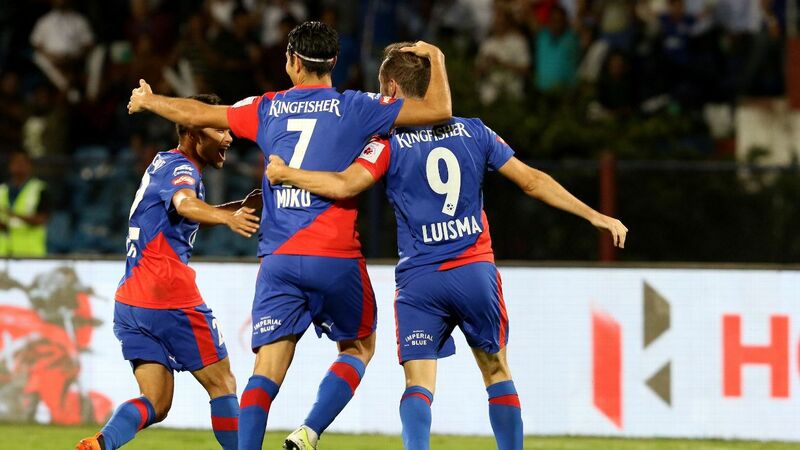 When on the ball, there are few players as lethal in the ISL, as his eight goals and seven assists suggest. All of it will count for nothing if there's a sending-off at a critical part of the tournament. Mohammed Rafi's header helped Chennaiyin win a crucial point against Jamshedpur. 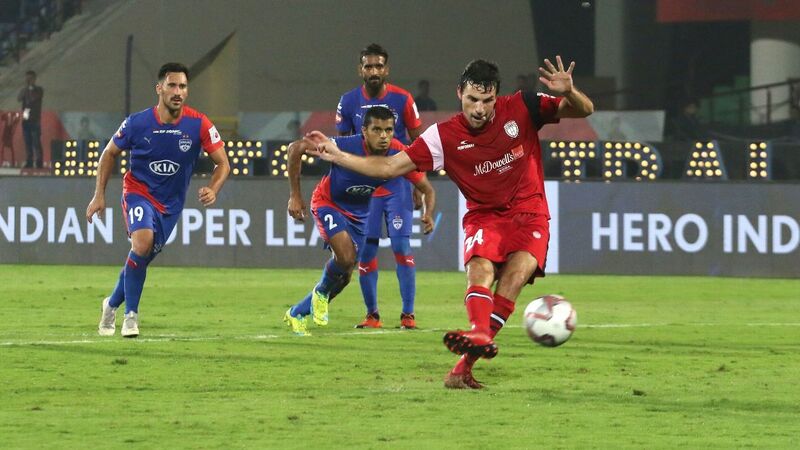 Jamshedpur were playing the perfect game after an early strike away to Chennaiyin FC, and a win would have brought Steve Coppell's team to third, ahead of their opponents. 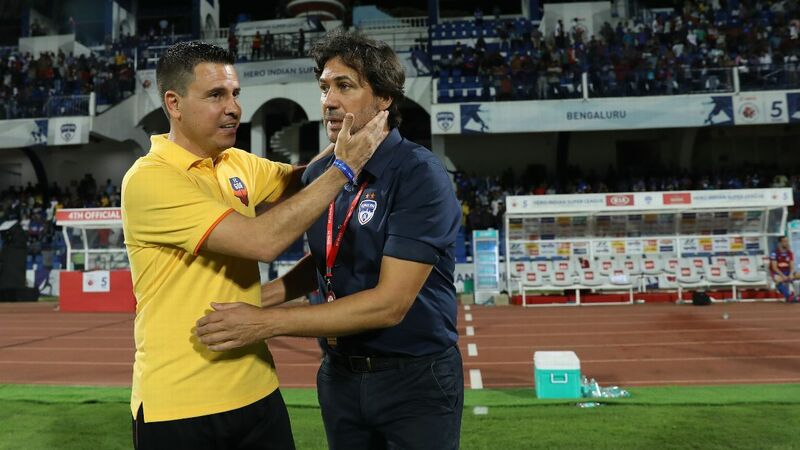 That's when John Gregory brought on Mohammed Rafi -- 'Rafikka' to his adoring fans from his previous stint at Kerala Blasters -- for his fifth appearance of the season, four of which have come off the bench. Rafi has made a name for himself in the ISL for his prowess with the header, and he executed a difficult one on Sunday to rescue a crucial point for Chennaiyin. 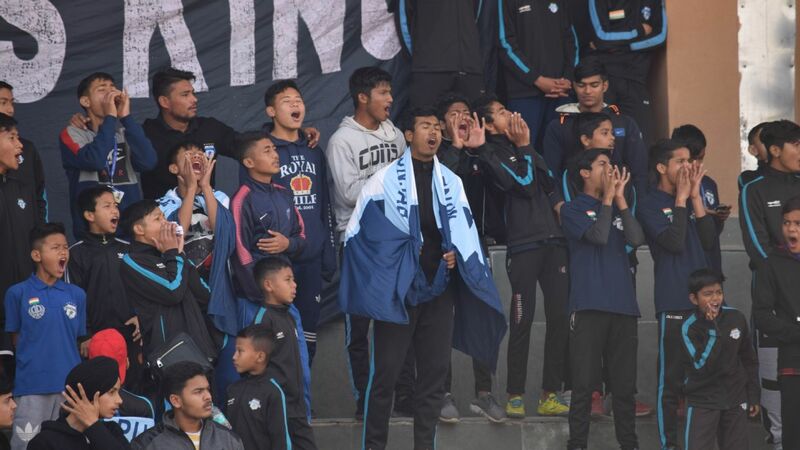 The corner he scored from was swung in at the far post, but overhit a bit, which meant he had to hold his shape while leaning back and still get enough power behind his header to beat Subrata Pal. He did all of that, and within 10 minutes of his introduction late in the second half. 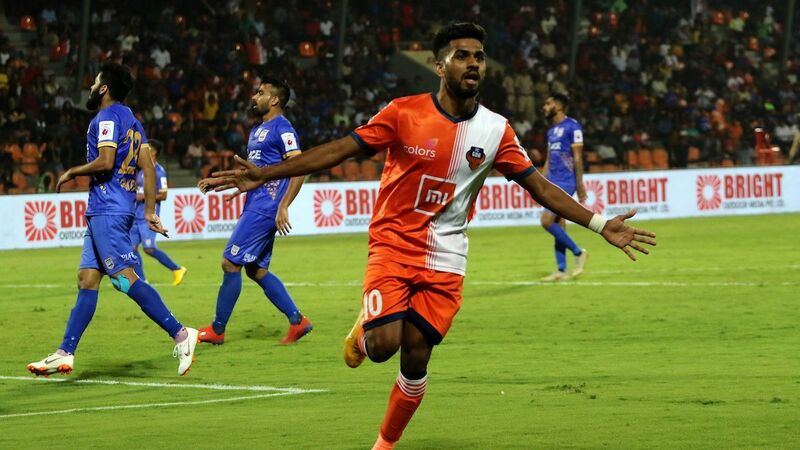 Early in the week, FC Goa faced Chennaiyin at home in a rematch of the 2015 final and created the better opportunities but came away without a goal or a point after 90 minutes. Chennaiyin had their shots too, and scored off a Narayan Das own goal. Late in the game, Goa threw all bodies forward and were denied by some stout defending -- but primarily by the woodwork. Manuel Lanzarote struck the crossbar a couple of times with his free kicks, while Brandon Fernandes curled a left-footer just past Karanjit Singh in goal, but saw the ball bounce off the corner of the post. Not long after, Coro rolled in a ball from a narrow angle on the left, which hit the inside of the post, struck Karanjit on his back, and incredibly rolled beyond the other post without sneaking in. Goa could have had at least three or four goals on the night, but it just wasn't meant to be.